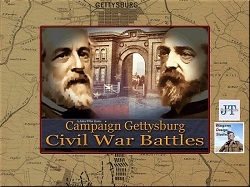 The Civil War Battles wargames cover many different campaigns during the American Civil War. The game scale is 125 yard hexes and 20 minute turns. Units are normally at the regiment and battery level. More information is available at the Product Page. 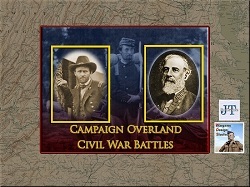 The Overland Campaign was like no other Civil War campaign, and shares more similarities with the First World War than with earlier battles such as First Bull Run and Shiloh, and was made more horrific by the meeting of passion and technology in the first of our "modern" wars. Gone was the old practice of marching out of camp to fight a battle and then, win or lose, marching back to camp to refit before fighting another. This campaign was a relentless struggle, a dance of death through tidewater Virginia, with the Union Army under U S Grant continually trying to outflank Lee's Army of Northern Virginia. Every flanking maneuver found Lee's ragged veterans blocking the way. Grant was every bit as aggressive as Lee, and he had the manpower of the North to back him up. They started calling him "Butcher" Grant, and someone told him that his and Lee's armies would be like the Kilkenny cats that devoured each other. Grant grimly said, "Our cat has the longer tail." It was part of a two-pronged plan. Years later, Sherman summed it up by saying, "Grant was to go for Lee and I was to go for Joe Johnston". By late 1862, the war in the west was proving to be a very difficult theater of operations for the Confederacy. 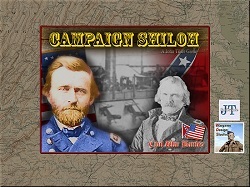 The disastrous defeats at Fort Donelson and Shiloh were especially damaging to the southern cause. But hope and spirit prevailed. A new plan was developed. Invade Kentucky, force the bulk of the Union army out of Tennessee, defeat it and encourage Kentuckians to join the Confederacy. 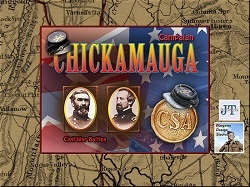 Campaign Chickamauga recreates the campaigns and battles of late 1862 and 1863. These battles would help decide the fate of both Kentucky and Tennessee and ultimately, the Union. At the beginning of 1864, the Union was poised to begin its final drive into the deep South. The plan was simple, Union General William T. Sherman and his three separate armies with over 110,000 men, would advance south, seek and destroy the Confederate Army of Tennessee and capture Atlanta. However, a determined General Joseph E. Johnston was ordered to stop this invasion. Johnston's plan was also simple, fortify and defend each mile of southern territory, inflict greater losses on the enemy and force them into a costly mistake. 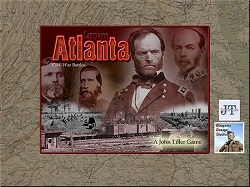 Cleverly using the difficult terrain of northern Georgia, the plan nearly worked.Now you can re-fight the entire 120 mile march to Atlanta. Stop and face the invaders at places like, Rocky Face Ridge, Resaca, Kennesaw Mountain, and even Atlanta itself. Your choices will decided the fate of the Confederacy. Fight well and bring victory to your chosen side. It is the end of April 1863 on the Mississippi River. 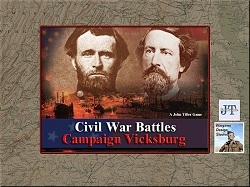 After disastrous Union campaigns at Chickasaw Bayou, Steele Bayou and Greenville, General U.S. Grant now elects to bypass the Confederate fortress city of Vicksburg. 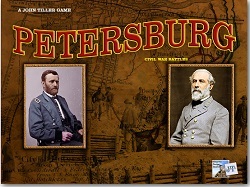 Instead, he will take his Army of the Tennessee and march down the Louisiana side of the Mississippi River.Anxiously expecting a Union thrust somewhere across the river into Mississippi, Lt. General John C. Pemberton and his Confederate army occupies a strongly fortified position extending both north and south of Vicksburg. 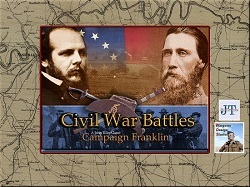 With Grant's crossing of the mighty river there will be no turning back...for either side. 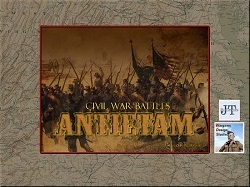 The early years of the American Civil War witnessed several desperate struggles for possession of the vast Ozark region of Missouri and Arkansas. 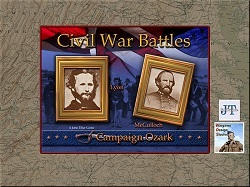 The fate of embattled Missouri was crucial to the war efforts of both sides and Campaign Ozark depicts these decisive conflicts in three campaigns. 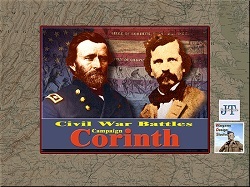 Campaign Corinth depicts the Mississippi front of the vast Confederate offensive in the Fall of 1862 that culminated in the battle of Corinth. 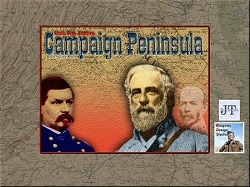 Defending Federal gains in Mississippi and West Tennessee are Federal Generals Ulysses S. Grant and William S. Rosecrans. 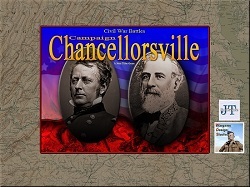 Their opponents, Confederate Generals Earl Van Dorn and Sterling Price, have dreams of planting their banners on the banks of the Ohio River.